Each year, Kinetik I.T. Software Development Manager and Microsoft Access MVP, Tom van Stiphout, attends the Microsoft MVP Summit. His takeaway in this conference shares some insight into Microsoft's successful products. For me reading the tea leaves at MSFT is mostly about momentum. It's a company that undertakes major initiatives and responds to its customers. Not all products make it. There are trial balloons, and failures to ignite. Azure is one of those major initiatives, and it is growing in reach almost every week. The Access desktop application also has some momentum behind it. It is far from dead. It just got added to several more flavors of Office 365. If I read the tea leaves correctly we will see it being able to connect to some of the same modern data sources. Even a few years ago, standard advice from a web designer online marketing team would be to start a blog and RSS feed on your website, and to populate both with company or industry news as often as possible. After all, what better way to keep people informed and build your own content profile at the same time then by giving them a constant taste of what's going on the world? That makes sense, until you fast-forward a handful of years and find that everyone's doing it. In fact, with the sheer number of news sites out there, RSS feeds available, and even real-time search engine updates, the problem isn't that people are having any trouble finding what's going on, but that it's hard to sort through all the news and find information. With that in mind, one easy way for you to set your website and business apart from all its competitors is by giving visitors what they really crave: insight and advice, rather than a steady stream of data. Unless your customers are living in a cave, they already know what's going on – what they want from you is a better sense of what new developments mean to them. That means populating your site with columns, blog posts, and other updates that center on sound business advice. Don't just tell people what you saw, fill them in on what it means to them, what future implications could be, how they might profit from it in the future, and so on. Before long, you'll find that you won't have to seek visitors just through search engines and online newsletters, because they'll be telling each other about you and showing up on their own. There were plenty of places for people to go and find news online, and they probably do the job better than your company could. But what no one can duplicate is your specific industry knowledge and insight, so keep that in mind and give your customers what it is they really want. As a child, we all loved hearing stories at bedtime, and, even adults without their own children are familiar with the pleas for “just one more!” As adults, we also love a good story—just look to the success of social media and the prevalence of click-bait headlines. We don’t want to click, and yet we want to see what’s on the other side, we want our curiosity satisfied, our questions answered. 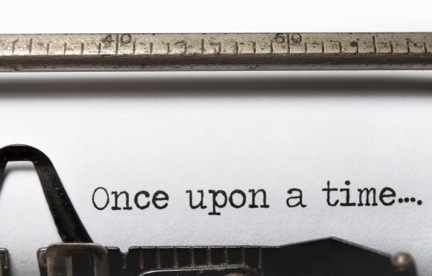 In business, stories are told through branding. Entrepreneur.com defines your brand as your promise to your customer, telling them what they can expect from your products and services. Your brand also differentiates your product and services from that of your competitor, and is derived from who you are, who you want to be, and who people perceive you to be. As with any good story, there are best practices in telling yours. In a recent Harvard Business Review article, JD Schramm, Ed.D., of Stanford’s Graduate School of Business shares his steps in storytelling. The best storytellers draw us immediately into the action. Think in terms of what you can offer your audience—that’s what they want to know. A catchy tagline, a witty tagline, a website that delivers. Choose first and final words carefully. First impressions, as we all know, are vital. Take advantage of the impact of your words to create a powerful image of your business that will stay with the customer—and keep them coming back. Follow the “Goldilocks” theory of details. Somewhere between a 15-second Vine, and TLDR, you’ll find just the right amount of info to offer your customers. Don’t make them search, or guess to find what they’re looking for, but also don’t give them so much information that they won’t follow through. Consider the power of poetry. Similar to the Goldilocks idea, saying less can sometimes be far more effective in relating your ideas. If a potential client has to wade through too many words, they may miss the meat of your message. •	Who is your Audience? •	What is your Intent? •	What is your Message? Making these determinations in advance ensures your message is clear, your audience is appropriately addressed, and your action is inspired. In order for a company to be seen, heard and known, it’s imperative to create a great corporate identity to brand your company and start building familiarity and trust. From creating a brand that will boost your marketing goals and developing create new logos or revamping old ones, Kinetik I.T. will jumpstart your story with branded business cards and brochures, as well as product packaging and other branding collateral. To learn more about branding, and a wide array of other services and products, visit www.Kinetik-IT.com or follow Kinetik I.T. on Facebook, LinkedIn or Twitter. Calling All Digital Superheroes—We’re Hiring! After nearly 25 years in the biz, we’ve developed a bit of a reputation—for excellence, a great company culture, for volunteer work and charitable giving. And now, we’re looking to expand our tribe! On September 24, we’re hosting a job fair in conjunction with Dice.com. By partnering with Dice—the leading career site for technology and engineering professionals—we’re connecting with you, the talented I.T. pro, on your own turf. Our purpose statement, "Evolve with Passion," describes not only what we do, it encapsulates our attitude about the work we do, the clients we serve, and the custom-designed products and outcomes that result. Love to give back? So do we—our team strives to evolve to be their personal best through volunteer work and charity giving. For the I.T. pro who is passionate about sales, web design, or programming; has experience in the full software development life cycle; and who isn’t timid about showing initiative, getting the job done, Kinetik I.T. will feel like home. Visit our Job Fair page for all the details. Think you’ve got what it takes? Don't waste another minute—we want to hear from you! All digital superheroes can submit a resume to hrmail@kinetik-it.com, or contact by phone at 602-957-0058. In any sport, being called out as Most Valuable Player, or MVP is a big deal. Being awarded the title by a group of one’s peers holds special significance, because colleagues understand the dedication and challenges an individual faces in becoming skilled in a particular line of work. While typically used in sports, the term MVP has come to be used in completely unrelated fields of endeavor such as music and business – as well as the technical community. According to Microsoft, the MVP award is given to "exceptional, independent community leaders who share their passion, technical expertise, and real-world knowledge of Microsoft products with others.” The awarded are those who "actively share their ... technical expertise with the different technology communities related directly or indirectly to Microsoft". 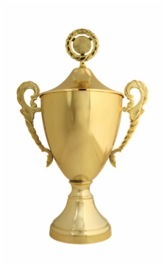 An MVP is awarded for contributions over the previous year. One such person can be found in the offices of Kinetik I.T. : Tom van Stiphout, Microsoft Access MVP. Tom is the Software Development Manager of Kinetik I.T. Having earned a degree from Amsterdam University, he moved to the United States in 1991. After a few years with C++ and Windows SDK programming, he gradually shifted his focus on database programming. He worked with Microsoft Access from version 1.0, and Microsoft SQL Server from version 4.5, when both products were first released. In 1997, Kinetik I.T. became one of the 27 Regional Directors in the United States, a title it held for three consecutive years. In this capacity Tom attended several conferences in Redmond and was one of the presenters at the annual Developer Days conference in Phoenix. During the last several years Tom has added .NET programming to his repertoire and he is particularly interested in hybrid applications that combine the best of what various platforms have to offer. Tom has been a frequent contributor to the Access newsgroups for many years, and was recently awarded the title of Access MVP. To learn more about services and products – including how Microsoft Access can help your business – visit www.Kinetik-IT.com or follow Kinetik on Facebook, LinkedIn or Twitter. Many small companies are concerned about the prospect of outsourcing anything. The reality, though, is that as you grow, you can’t handle everything anymore. Whether you shift responsibilities to those in your management team or you look for a company to handle some tasks, the idea of letting go is a bit difficult. That’s particularly true when it comes to outsourcing your IT needs. As your company grows, your IT needs become far more complex, and there’s simply no way that you can keep up with your own needs and still manage your company properly. Instead of building an IT department you can’t afford to keep, it may be time to look toward outsourcing your IT work. IT consulting companies abound these days, and with good reason. There are many other businesses in the same spot you are, and outsourcing your IT work makes sense. Not sure there are any real benefits? Here are a few to consider. Saving Money: Building an IT department from scratch is just out of reach for many people. You’ll find that you can control expenses far better by outsourcing than you ever could by hiring dedicated staffers. You won’t be paying for individuals when there aren’t problems, and you’ll know exactly how much to budget up front. Better Resources: If you’re a small business, it would be tough to match the resources of bigger companies. There just isn’t the funding in the budget. By outsourcing, though, you get access to amazing resources without the amazingly large price tag. Big businesses maintain cutting edge systems, and you can have access to that same technology for a fraction of the cost. Focus On Your Company: If you only need to pick up the phone when you need IT help, then you don’t have to take quite as much time away from your own goals and objectives. You focus on growing your business every single day, not dealing with this IT problem or that one. Reduce Your Risk: Every business has to deal with risk at some point in time, but outsourcing means you have to deal with far fewer risks because you’ll have a partner in managing much of that risk for you. They’re going to be far better at deciding which risks to undertake when it comes to your technology and how to avoid the worst bits than you could ever be. For many companies, outsourcing IT just makes good sense. The key is to find the right IT consulting partner to meet your needs, then you’ll start to level the playing field and help your company truly excel at what it does best every single day. Contact us at www.kinetik-it.com or follow us on Facebook, Twitter, or LinkedIn. At Kinetik I.T., we love and take pride in what we do, specializing in web site design, internet marketing, branding, software design and programming, web application development, ecommerce and shopping cart applications, computers and networking, and disaster recovery planning. While we work with a wide variety of clients, we guarantee the highest quality work in all areas to achieve the client’s goals and vision. To give an overview of our work, we maintain a CV, of sorts, although the projects listed are only a small representation of client projects in the Phoenix-Scottsdale area, and across the US. We provide this resume on the Kinetik I.T. website, as a method of outlining our diversity in experience and skills. We want both our continuing clients, as well as potential ones to see the range of our expertise. All of our software developers and analysts have participated in the projects listed in this resume and have various skills and expertise that will contribute to any project. Microsoft Access, Microsoft SQL Server, SQL Reporting Services, VB.NET, Visual Basic, C# (C-Sharp), VBA (Visual Basic for Applications), VB Script, ASP.NET, ASP (Active Server Pages), Silverlight, SharePoint, Microsoft Office Automation (Excel), Visual Studio.NET, Visual Studio, Visual InterDev, Expression Web, XHTML, HTML/DHTML, CSS Standards. KINETIK I.T.’S PROGRAMMING STANDARDS, GUIDELINES & TECHNIQUES FOR: Windows Application Development, Microsoft Visual Basic, Microsoft Access, Web Application Development. When developing a website to focus on product and service offerings, custom design often comes into play. For some businesses, a custom build can be not only appropriate but necessary, though not in all cases. Along with custom design can come ongoing maintenance, specialized knowledge and training, and regular updates. Besides raising the question of who will maintain the site, ongoing upkeep often equates to ongoing cost. “Our rates are beyond competitive. We haven't raised our rates in several years, because we want to make sure our prices are reasonable. In order to keep them reasonable, we have to become more efficient as a company rather than raising our rates every year for our clients,” van Stiphout said.